Due to unforeseen circumstances, the exhibition will open March 31. Dark Matter: Celestial Objects as Messengers of Love in These Troubled Times is a solo exhibition by artist and designer, Folayemi (Fo) Wilson that reconsiders the power of objects to create a dynamic atmosphere for reflection, meditation and healing. This exhibition of new work combines elements of architecture and integrates visual art, objects, sound, and video. As in some of the artist’s previous work (Eliza’s Peculiar Cabinet of Curiosities, 2016), the house is a powerful symbol and continues Wilson’s interest in Southern vernacular architecture. In this case, the shotgun house with its origins in West Africa and economy in layout and design becomes a form that appears as if it landed from outer space incorporating elements that suggest a futuristic, transplanetary Middle Passage and migration through deep space. Original soundscapes placed throughout the gallery are conceived to sound like communications from another world with uncanny references to early jazz recordings, religious chants, political manifestos, and other audial ephemera from classic moments in human liberation. Orbs will hang from the ceiling, lie on the floor and be interspersed in the installation with found objects that contain video of NASA journeys into space, around the moon and documenting the sun. These embellished cosmic orbs may look like stars, small planets and moons, but carry the conceptual theme of love and deliverance to a world in transition that is coping with divergent ideas around a common humanity. Local communities of healing that chant, meditate, pray, embody sacred movement or sing sacred music, are invited to activate the gallery space and give audiences an opportunity to engage with the exhibition’s theme of positive energy and healing. Noted poet and visual artist Krista Franklin will present a long form poem in response to the work and celebrated Chicago jazz musician Ben LaMar Gay will accompany her in the gallery on Thursday, July 11th, 6 pm. This event is free and open to the public. The exhibition catalog will take the form of a special release LP record featuring these contributions as well as written text by the artist and other contributors. Generous support for the exhibition and catalog is provided in part by the Elizabeth Firestone Graham Foundation, and the Host Committee led by Dawoud Bey, John Ellis, Richard Wright and Valerie Carberry. The ceramic artwork included was produced with assistance from the Arts/Industry Program at the John Michael Kohler Art Center. Folayemi (Fo) Wilson is an artist/designer, educator, independent curator and writer. Her art practice crosses interdisciplinary boundaries between the visual arts, sonic media, a regard for the handmade, and a background in design and object making. She earned a MFA in Furniture Design with a concentration in Art History, Theory & Criticism from the Rhode Island School of Design and is an associate professor at Columbia College Chicago. 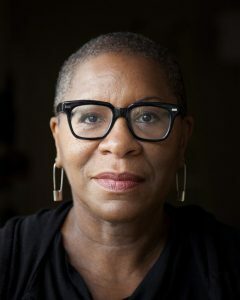 Wilson has been a grant recipient of Creative Time, the Graham Foundation for Advance Studies in the Fine Arts, the National Endowment for the Arts, and the Propeller Fund. She lectures about art, design, and craft to international audiences, and her writing and reviews have appeared in NKA, Journal of Contemporary African Art, the International Review of African American Art (IRAAA), and Communication Arts. 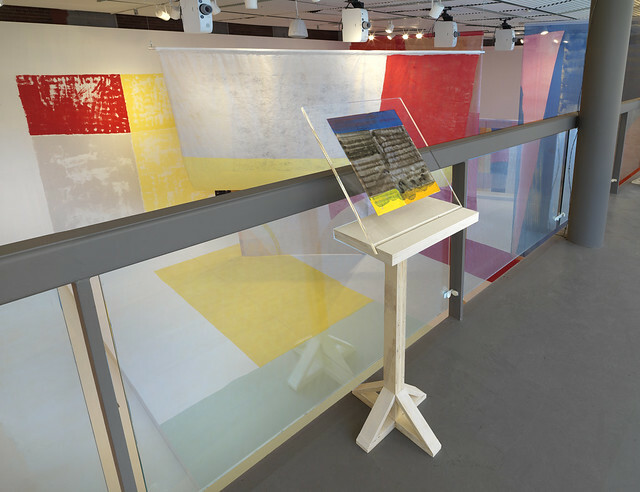 Wilson curated the exhibition The New Materiality: Digital Dialogues at the Boundaries of Contemporary Craft (2010-12), which debuted at the Fuller Craft Museum and traveled to national venues such as the Milwaukee Art Museum. Other curatorial projects include Back Alley Jazz, (2018) a project of blkHaUS studios with Norman Teague in collaboration with the Hyde Park Jazz Festival and the Hyde Park Art Center, and Ekphest: the Festival of Art + Word (2015), co-curated with Krista Franklin. Wilson was the 2013-14 Inaugural Faculty Fellow at the Center for Black Music Research (CBMR) and has been awarded residencies or fellowships at ACRE, Djerassi Resident Program, John Michael Kohler Arts/Industry program, Haystack Mountain Center for Craft, the MacDowell Colony, Purchase College/SUNY Purchase, New York among others. Wilson was honored as a 3Arts awardee in 2015 and her work is included in the collection of the Cooper Hewitt National Museum of Design. She is on the board of the American Craft Council and is currently a 2018-19 artist in the Jackman Goldwasser Residency at Hyde Park Art Center.